I sing the praises of Embassy Suites often, here on TravelMamas.com and in real life when chatting with friends about best hotel options for families. So when Embassy Suites asked me to act as an ambassador for their new #PrettyGreat Family Travel Hacks, of course I said yes. Check out how this program can save your family’s vacation sanity! The #PrettyGreat Family Travel Hacks program was developed to help parents get the most out of their family vacations. 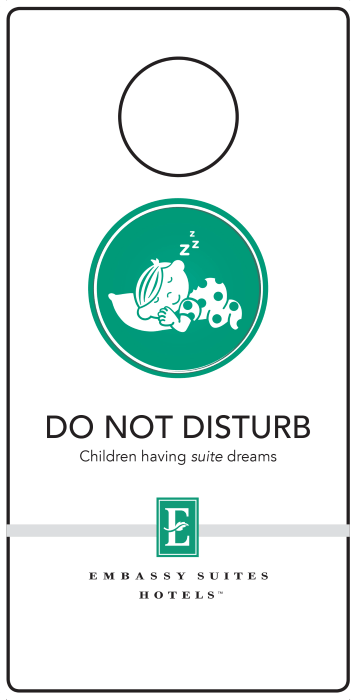 For example, Embassy Suites is adding a variety of family-focused amenities, from baby- and child-specific “do not disturb” signs, to coloring books and crayons at check-in. 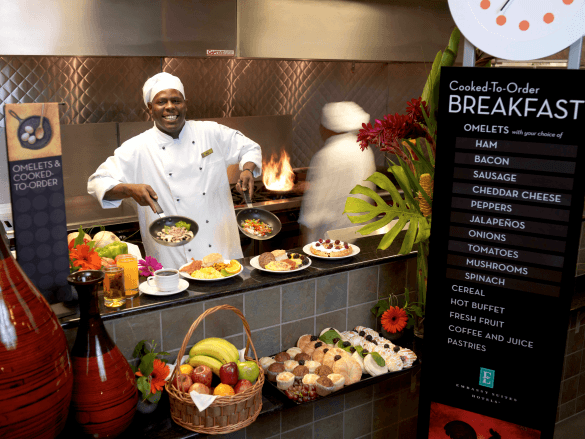 This is in addition to the brand’s included hot breakfast (which makes feeding hungry kids in the morning a snap), all suites hotels (with separate sleep spaces for parents and children in each suite), and complimentary evening receptions (with snacks and drinks for all, plus alcoholic options for mom and dad). Embassy Suites understands how important good customer service is when choosing a where to spend vacation dollars. The hotel brand is going out of their way to cater to families by incorporating family-specific training into their employee training sessions. The #PrettyGreat Family Travel Hacks online community provides family travel “hacks” – simple, clever travel tips to make vacations with children easier and more fun. Hacks are posted by travel experts (like yours truly! 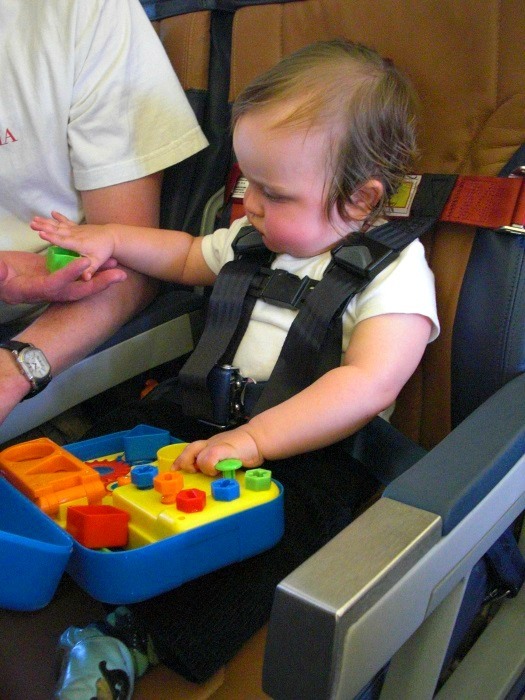 ), as well as well as by fellow parents who have discovered travel hacks of their own. Here’s one from me: Keep a hidden stash of toys just for travel. This makes packing for the next trip easier and your children will be delighted to be reunited with forgotten toys. Do you have a #PrettyGreat family travel hack to share? Share your travel hack here or you can submit your hack via social media using the hashtags #PrettyGreat and #TravelHacks. A Note from The Travel Mama: This post is brought to you in partnership with Embassy Suites. I received compensation related to this post. Top photo provided by Embassy Suites and modified with wording by Colleen Lanin. It must be really fun for the kids. There is always a good ambiance in family friendly hotels! We hid favourite toys as well. Saves money and time! I wish I’d had that pool noodle hack a few years ago! Now I want to see what else #PrettyGreat has to offer. What a great idea! I’m doing a pool noodle round up for the blog I work for. May I have permission to use your photo and link to this post? Thanks! Would you mind please sending me the link to their media page? Thank you so much!